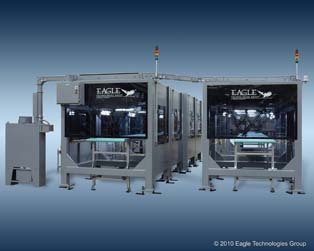 When it comes to designing and building custom dispensing and dosing equipment to handle the most difficult of food products Eagle has the experience necessary to meet almost any challenge. Our state of the art servo driven technology allows for a wide range of speed adjustment at your fingertips. Food grade standards operating within high pressure, high temperature, wash down environments can be challenging but Eagle will design a system that will meet your requirements and exceed your expectations.